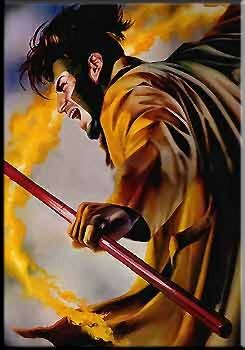 Later, when he was around ten years old, Remy attempted to pick the pocket of Jean-Luc LeBeau, then-patriarch of the Thieves' Guild. 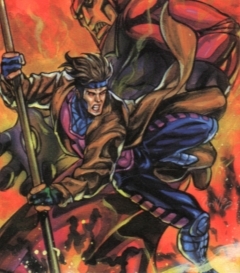 Jean-Luc took the boy in off the streets and adopted him into his own family. 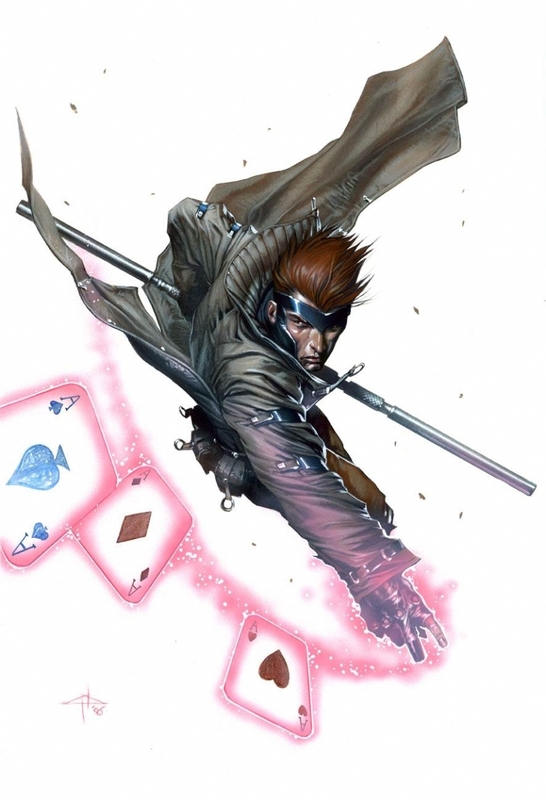 As part of a peace pact between the Thieves' Guild and their rivals, the Assassin's Guild, a marriage was arranged between Remy and Bella Donna Boudreaux, the granddaughter of the head of the Assassin's Guild. 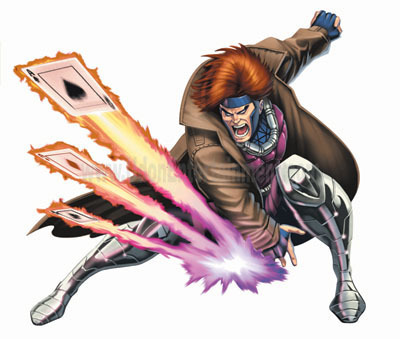 However, Bella Donna's brother Julien objected to the marriage and challenged Gambit to a duel. 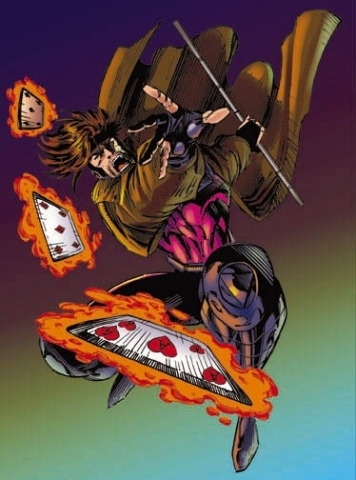 Remy killed Julien in self-defense, but was excommunicated and banished from New Orleans in an attempt to maintain the nonaggression pact between the two guilds. 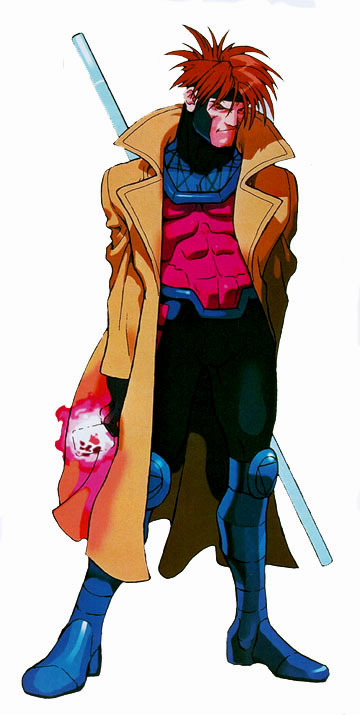 Eventually, Remy encountered Storm, a member of the outlaw team of mutant adventurers known as the X-Men. 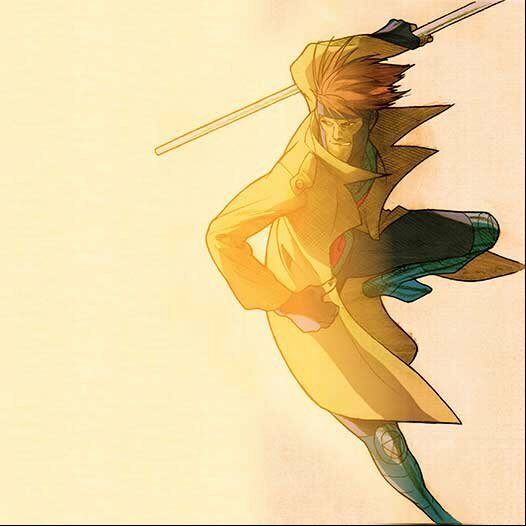 Storm had been transformed into an amnesiac child who had turned to theft as a means to survive. 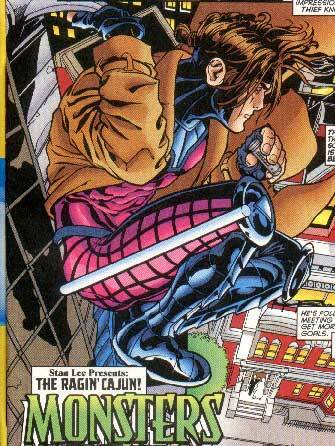 Remy helped her escape her enemy, the malevolent psionic entity known as the Shadow King, and they became partners. 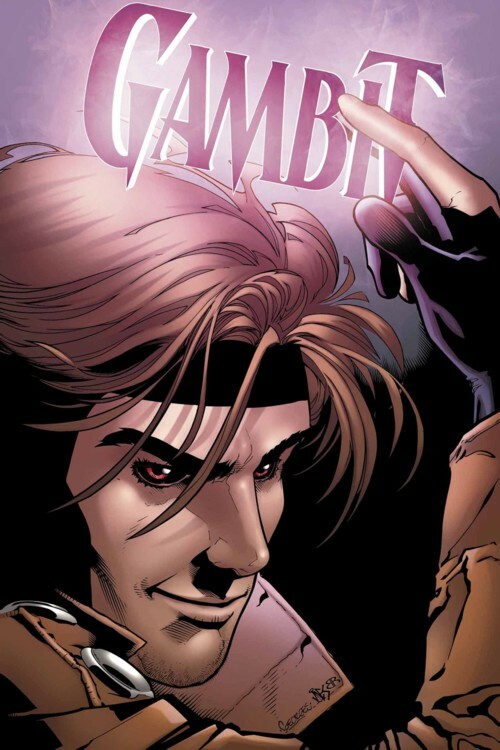 Later, when the X-Men's founder Professor Charles Xavier returned from a long period of traveling in outer space, Storm sponsored Remy's admission into the X-Men. 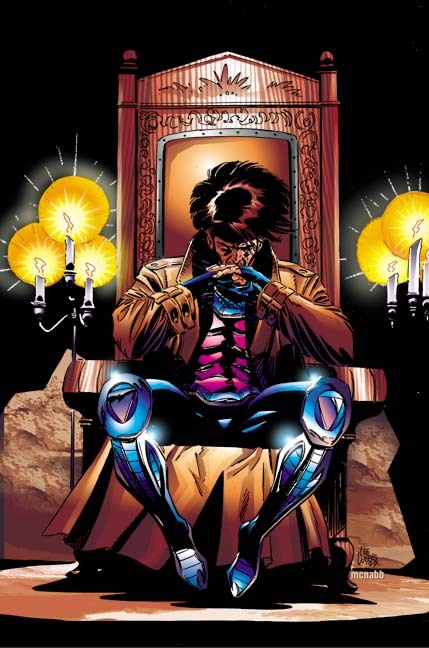 Remy soon fell in love with his fellow X-Man, Rogue, blessed and cursed with the ability to absorb other mutants' thoughts and abilities through skin-on-skin contact. 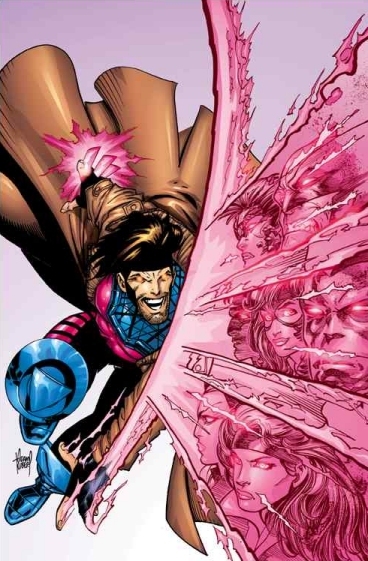 The feeling was mutual, but the two soulmates were condemned never to touch. 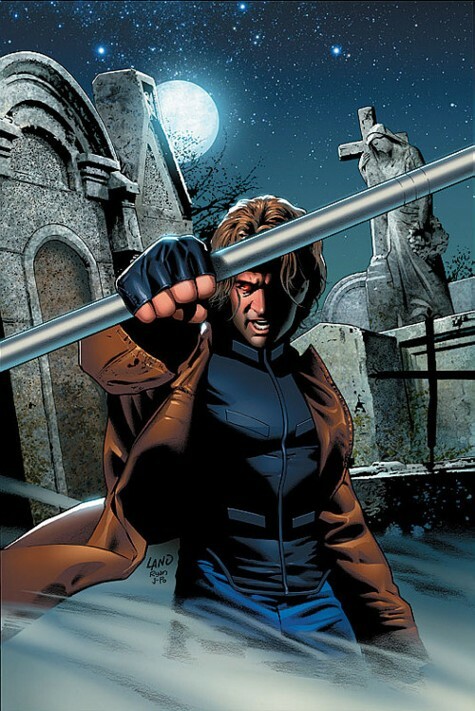 At one point, Rogue left the X-Men after she kissed Remy and absorbed a portion of his memories, learning of his role in the Morlock Massacre. 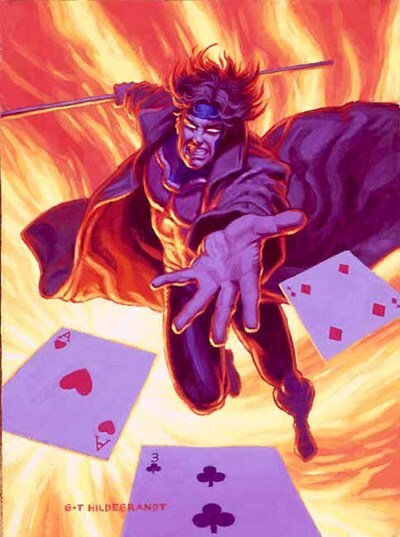 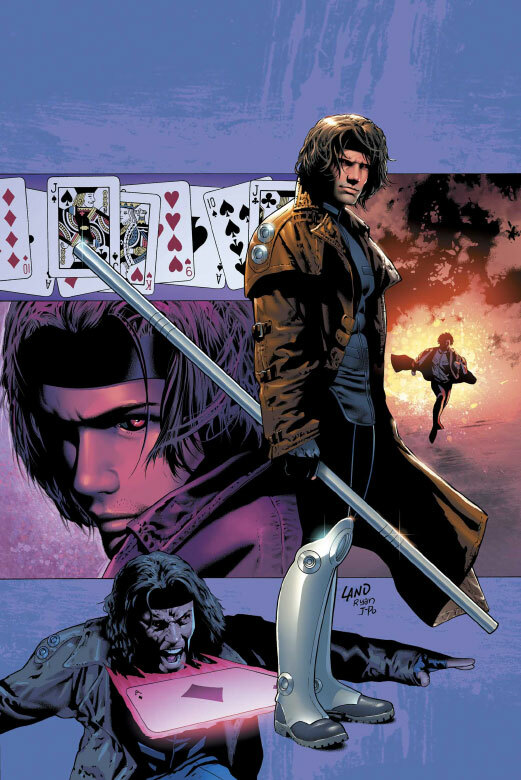 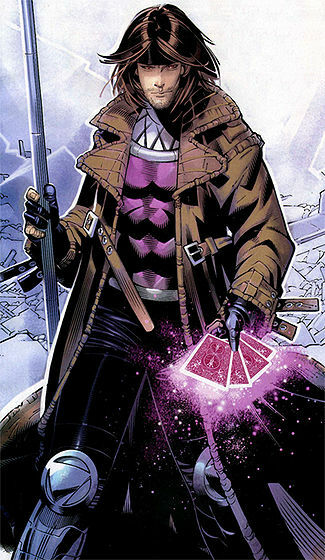 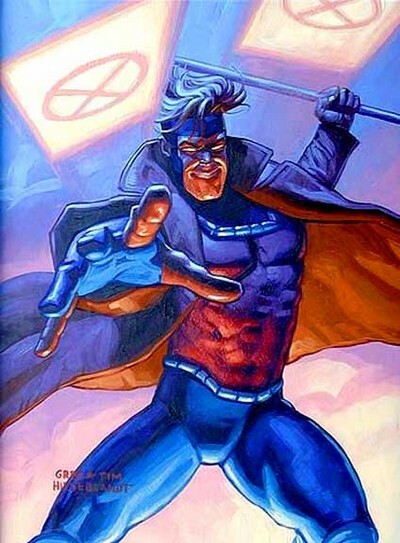 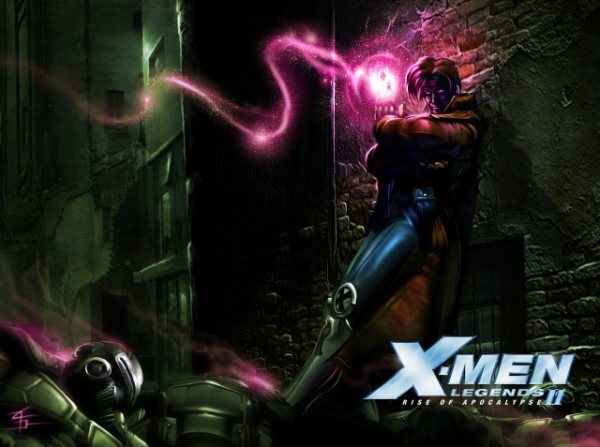 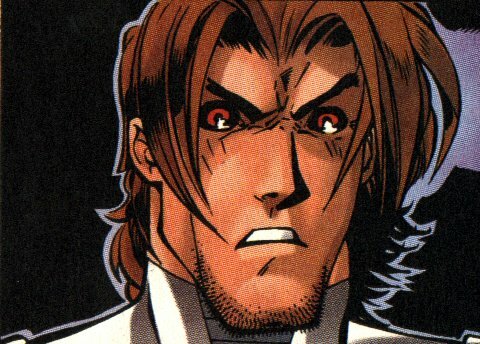 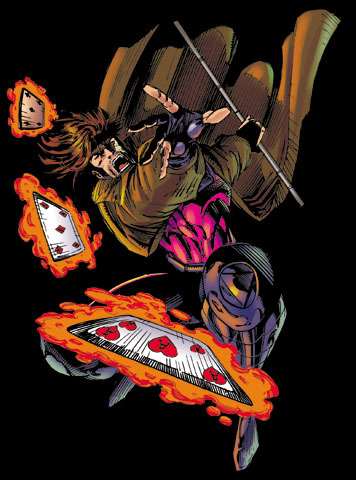 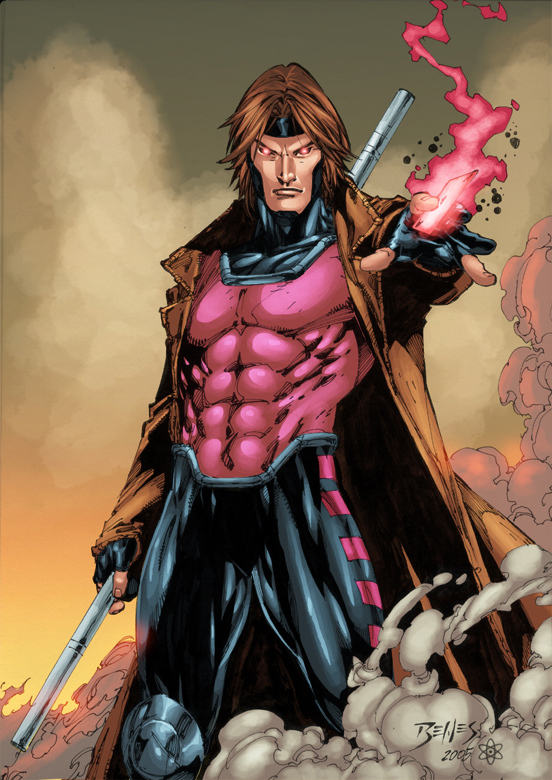 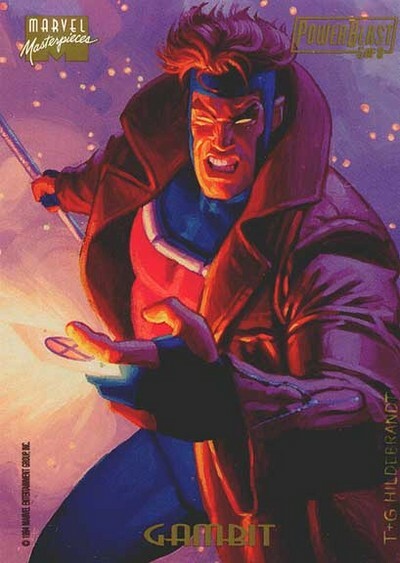 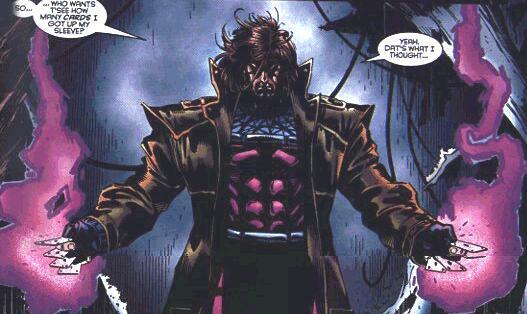 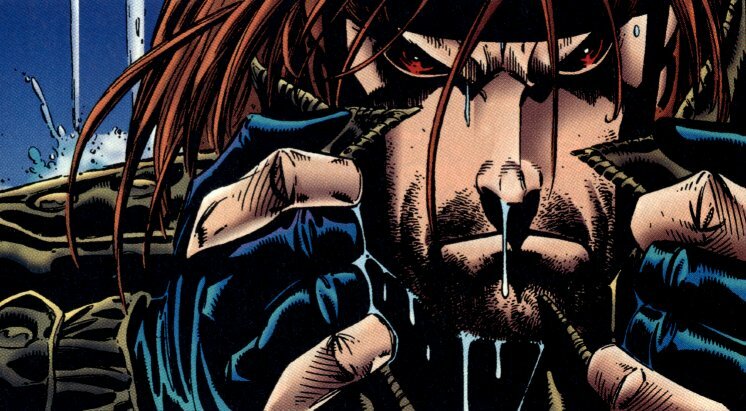 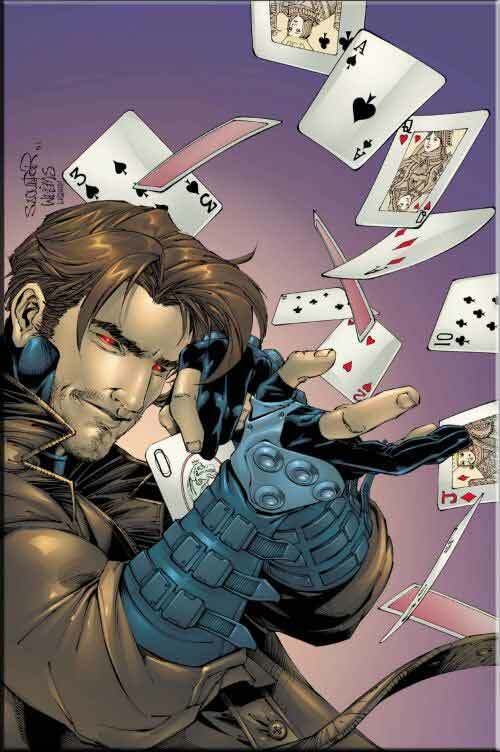 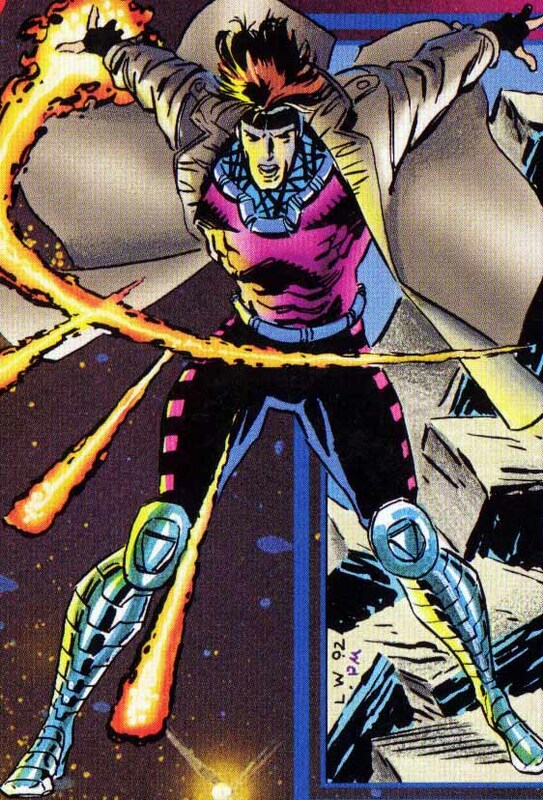 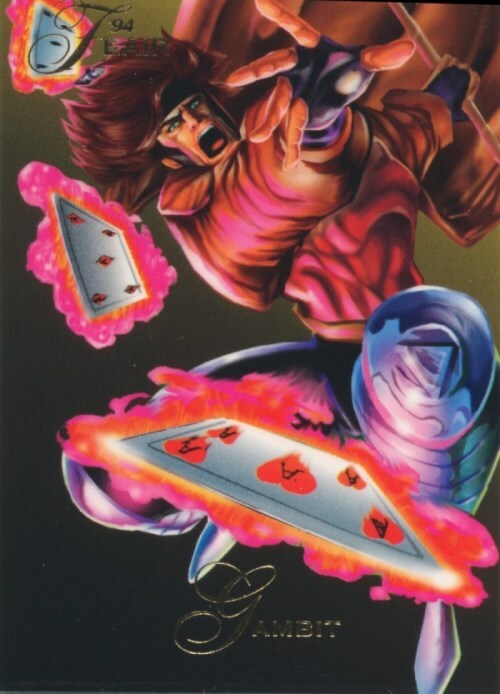 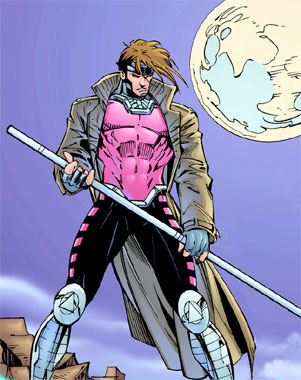 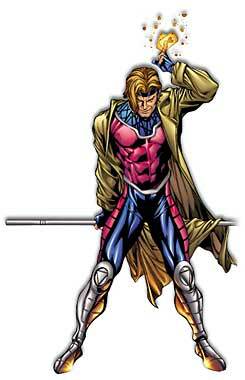 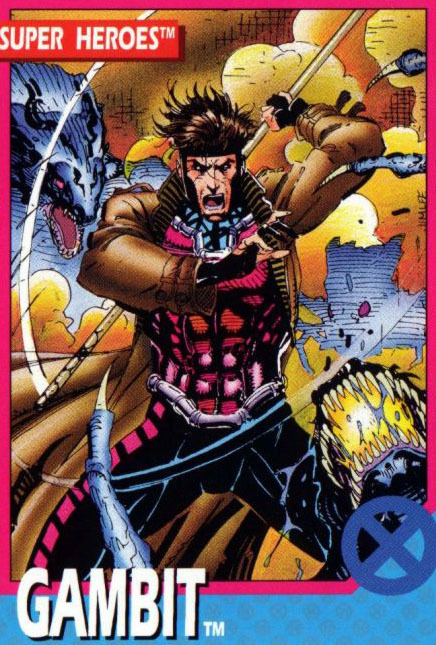 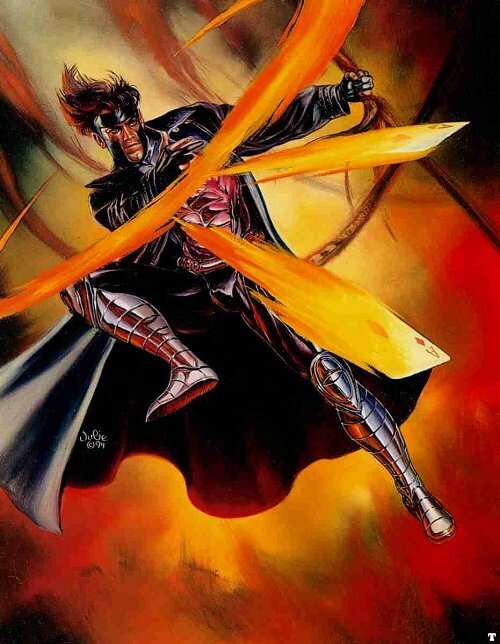 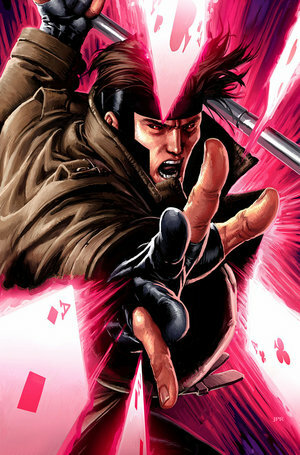 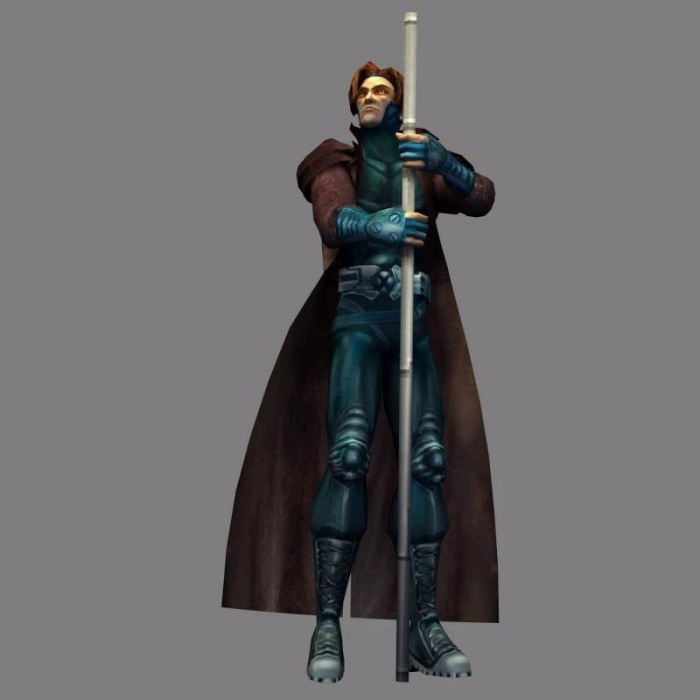 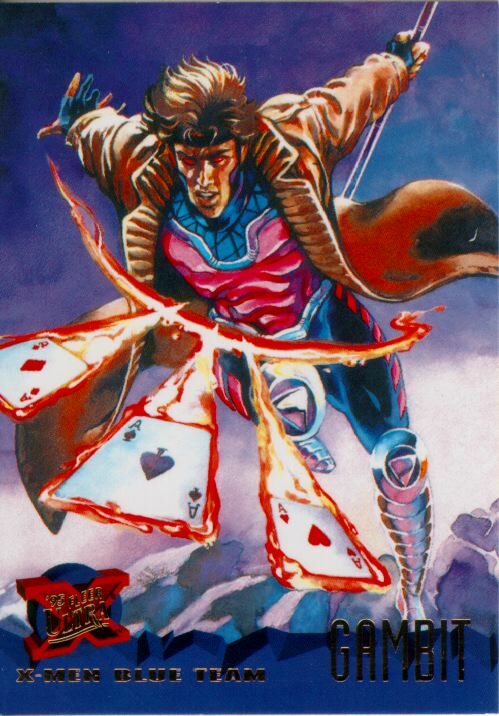 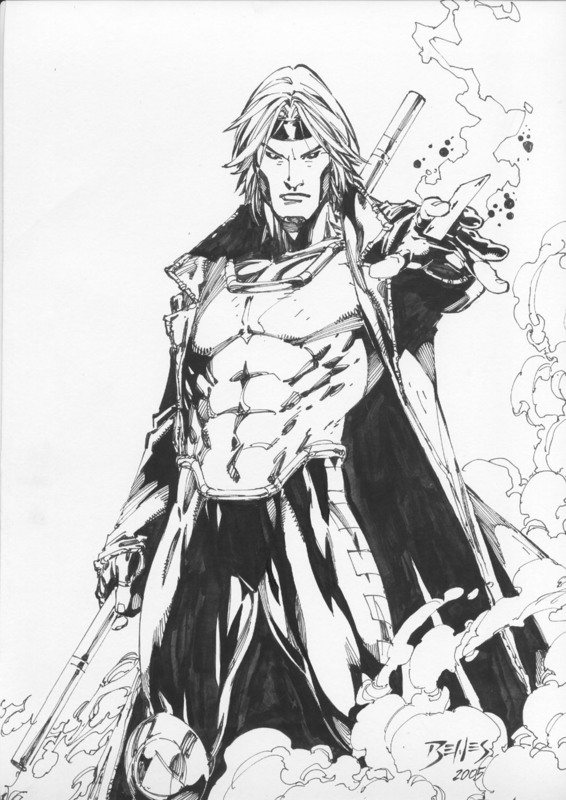 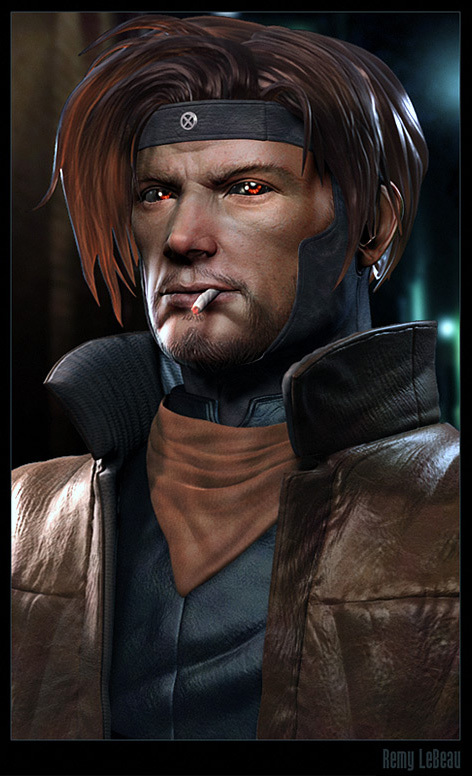 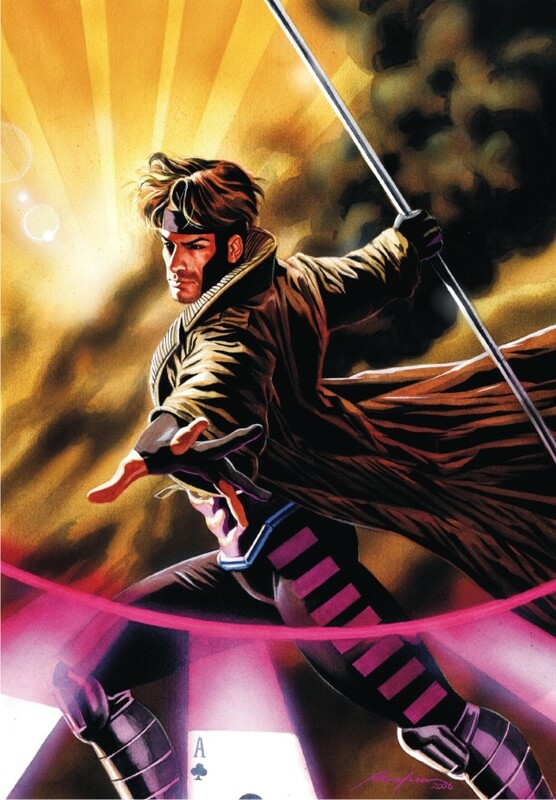 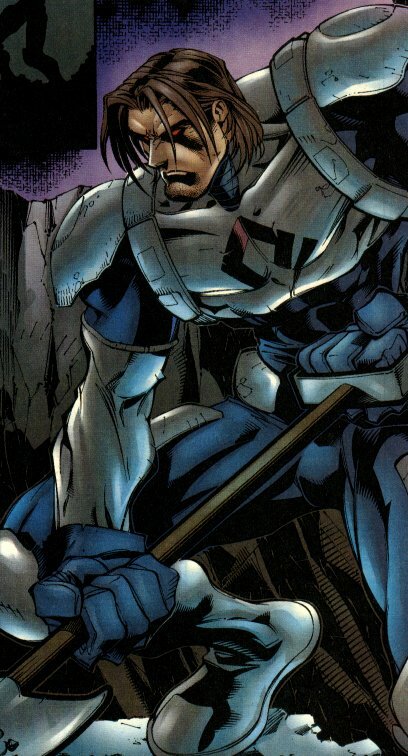 As a member of the X-Men, Gambit became well known for using playing cards and a metal staff as his weapons of choice. 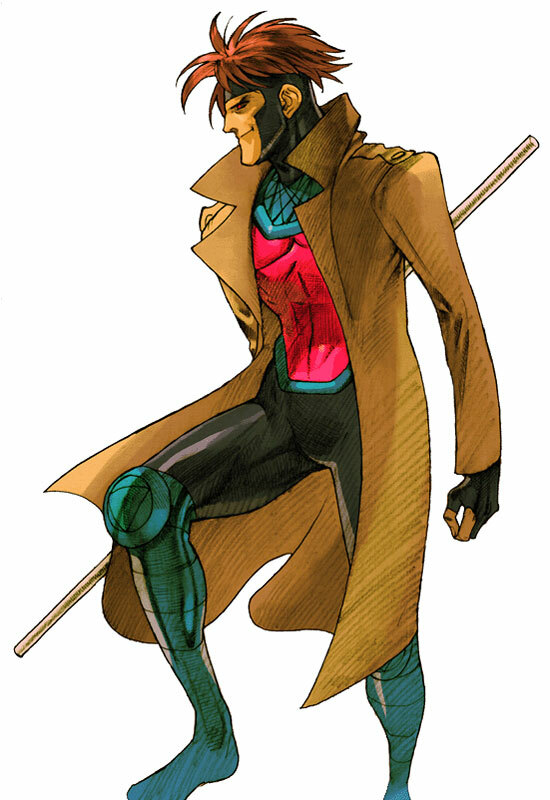 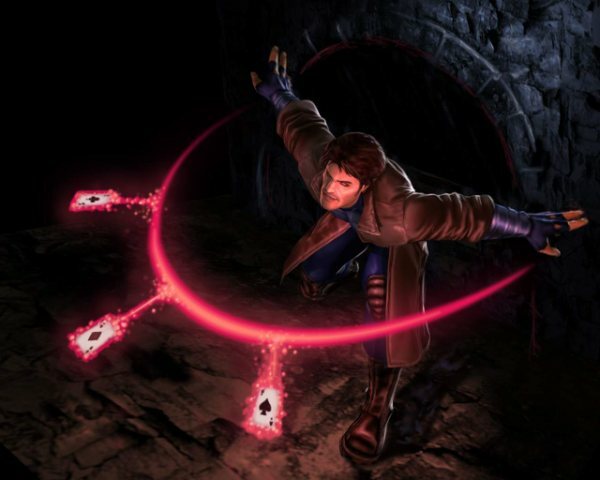 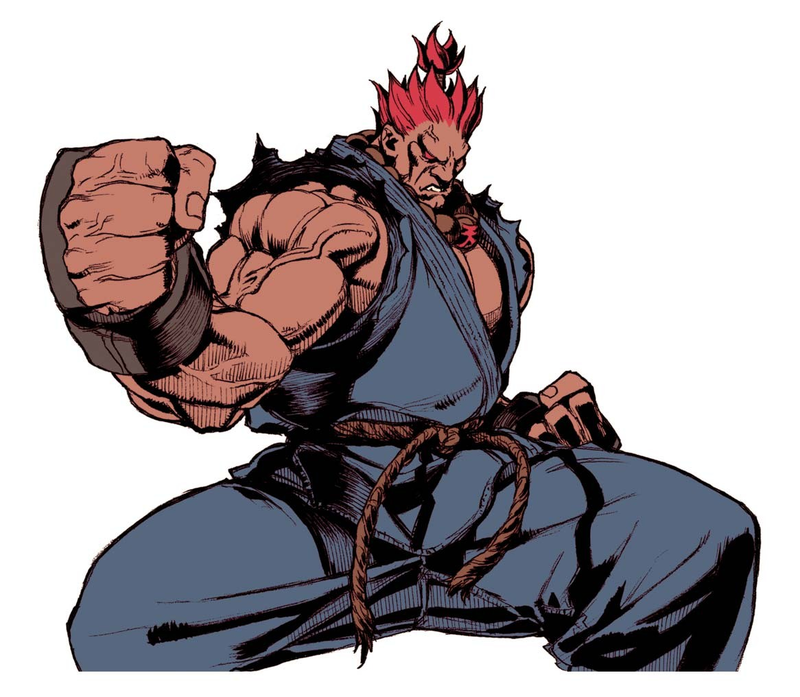 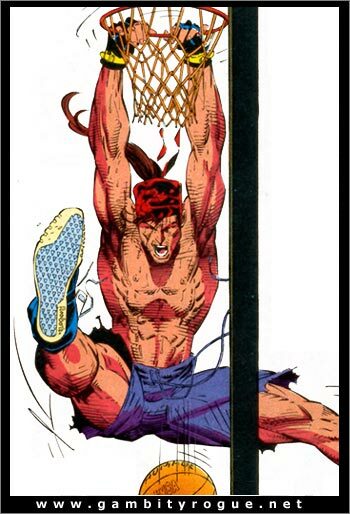 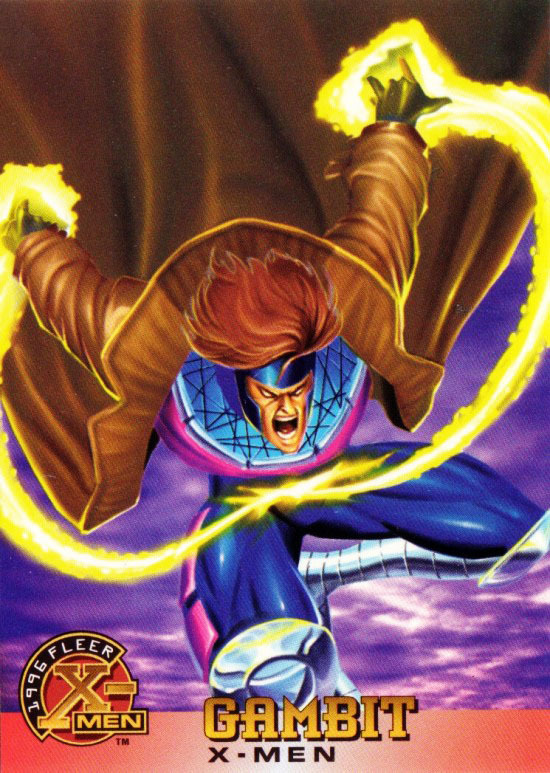 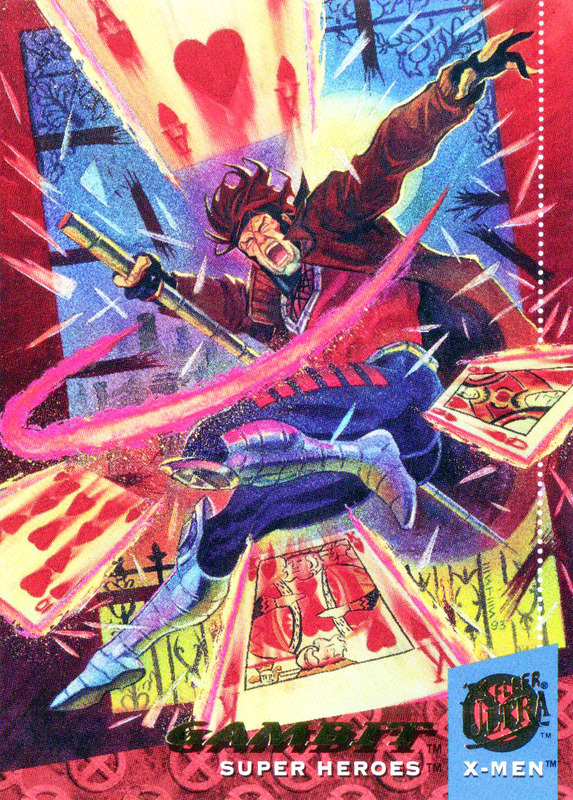 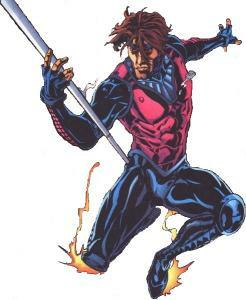 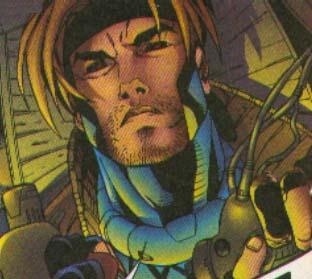 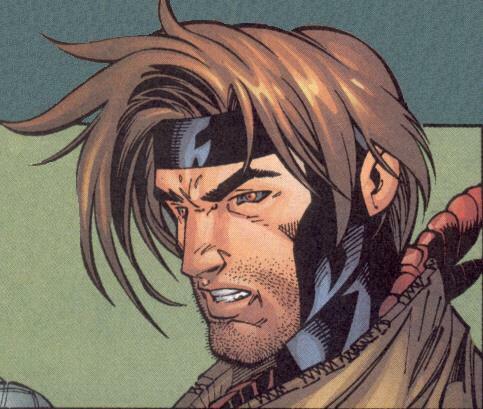 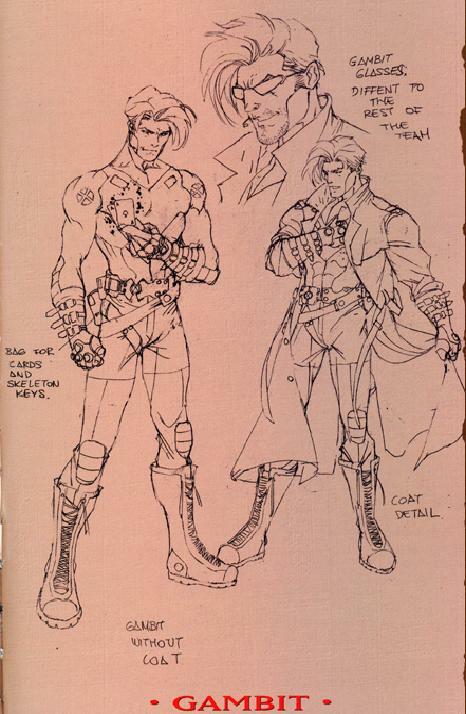 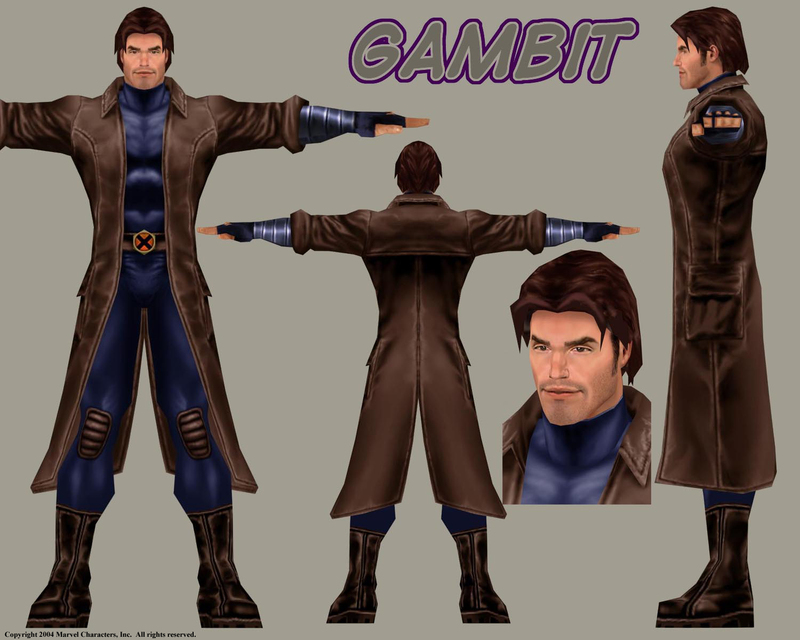 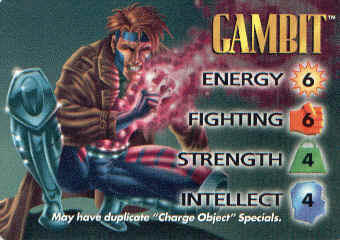 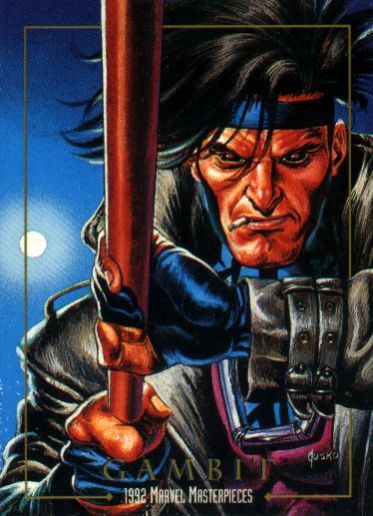 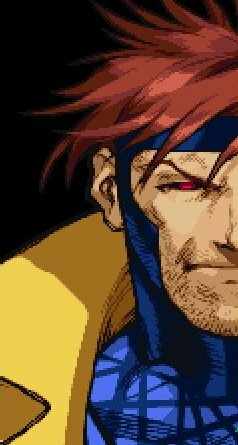 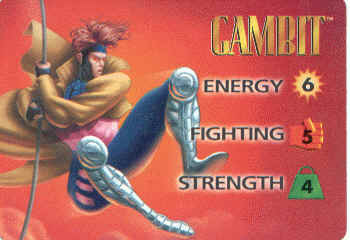 Gambit made his fighting game debut in X-Men VS Street Fighter (1996).